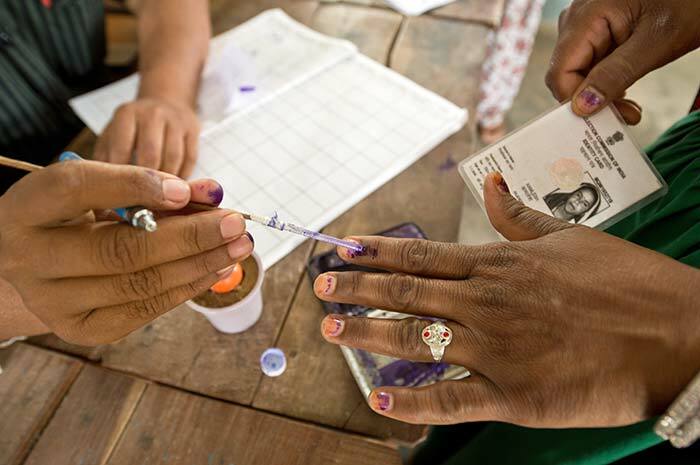 117 constituencies go to polls in the sixth phase of the Lok Sabha elections. Over 18 crore voters in 11 states and union territory of Puducherry will be able to vote in the sixth of the nine-phased elections in which there are 2076 candidates. A polling officer marks the finger of a woman at a polling booth in Alwar, Rajasthan. 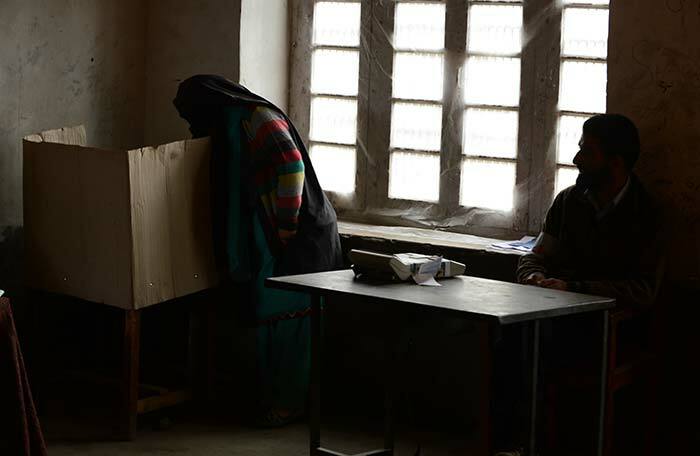 A woman casts her ballot at a polling station at Bijbehara, about 42kms south of Srinagar in Kashmir. 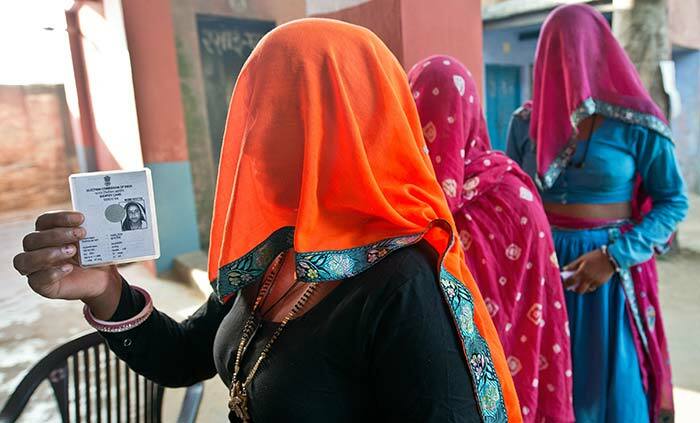 Women queue up to cast their votes in Rajasthan. 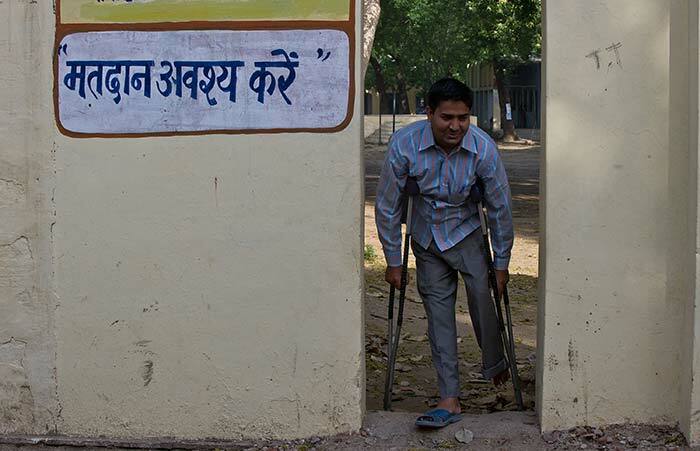 A man comes out of a polling booth after casting his vote in Alwar, Rajasthan. 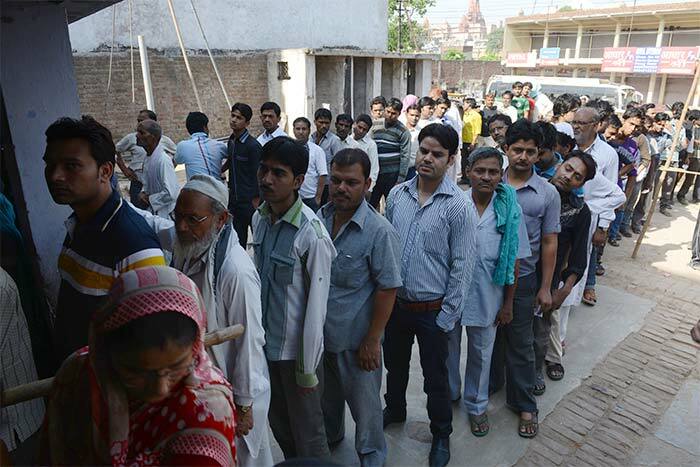 Voters line up to cast their votes at a polling station in Mathura, Uttar Pradesh. 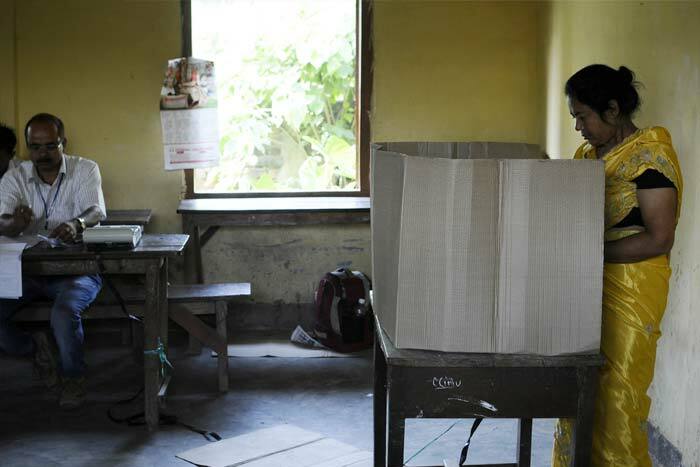 A voter casts her ballot at a polling station in Guwahati, Assam. 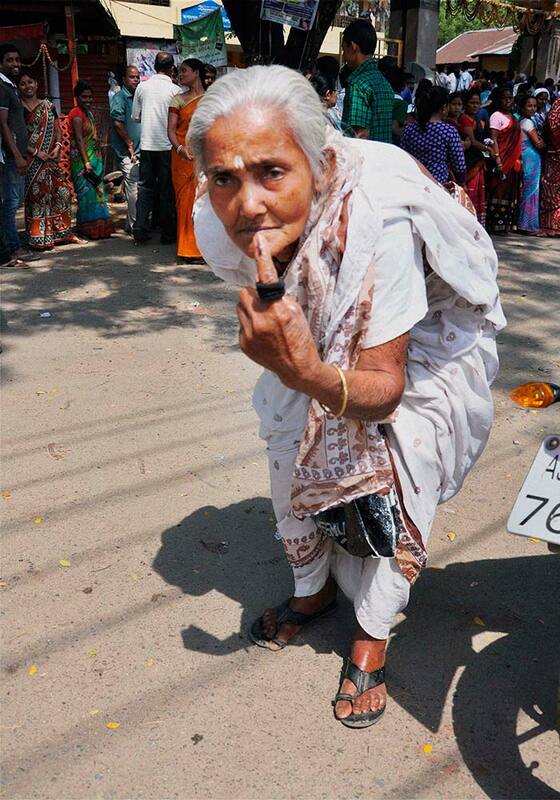 An old lady shows her inked finger after casting her vote at a polling station in Guwahati. 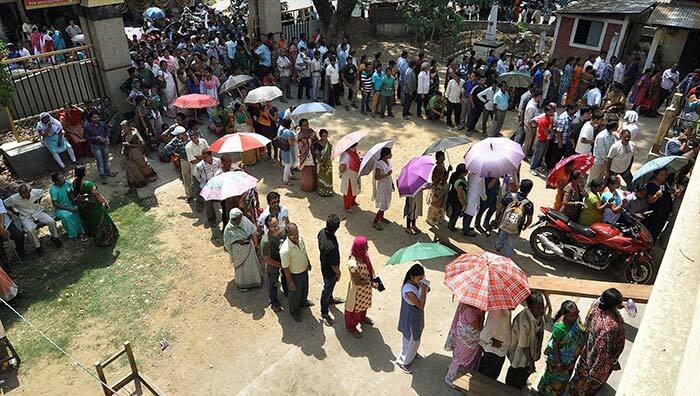 People stand in queues to cast their votes for Lok Sabha elections at a polling station, in Guwahati.